Once I decided to make the four batches of sauerkraut, I figured I'd start with "original." You really can't go too much simpler. You need a mere three ingredients, one of which is optional! Since I opted to use whey in addition to salt, this sauerkraut isn't too salty. I got the whey by straining it out of my kefir. You could do the same or use yogurt whey. Just make sure it's got some live cultures. :) If you don't have any whey or want to avoid it, you can also use an additional teaspoon of salt. 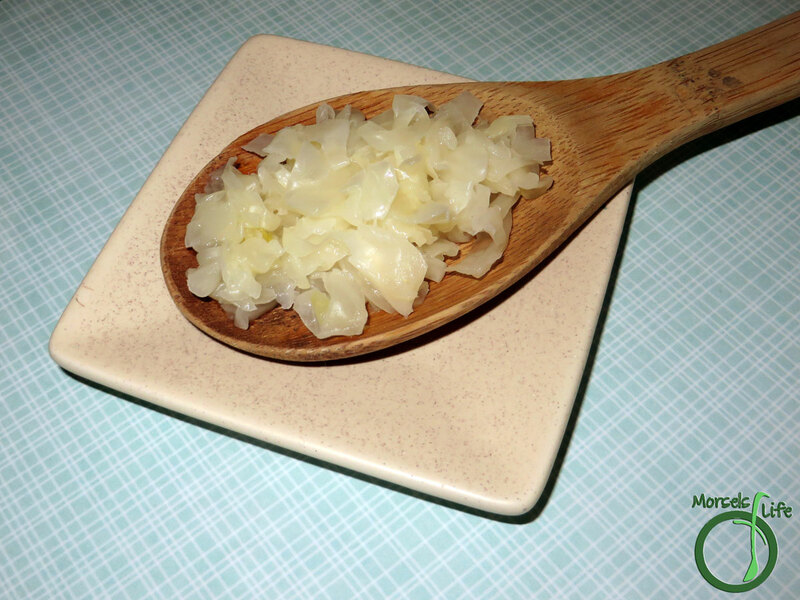 What do you like to pair with your sauerkraut? 1 tablespoon whey You can strain it from yogurt or kefir or use additional salt instead of whey. 3. 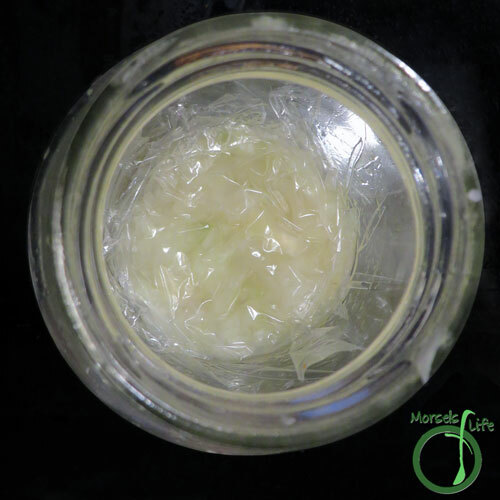 Place mixture into a jar, and press/beat down until liquid covers all cabbage. 4. (Optional - Place a layer of plastic film on top to decrease exposure to oxygen. 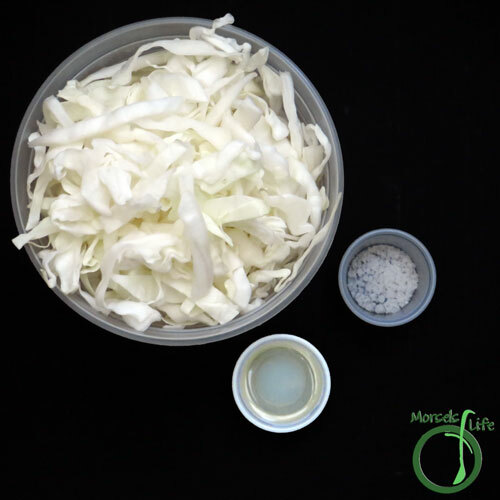 I like to use this layer of plastic film to slow evaporation and decrease air exposure, but as long as the cabbage is covered in liquid, you should be fine.) 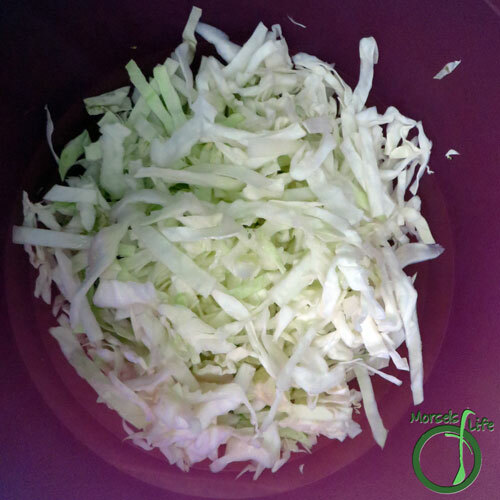 Allow cabbage to ferment at room temperature, tasting the cabbage/sauerkraut to determine if it has fermented enough. Once the cabbage is fermented to your taste, store refrigerated. I have never make my own sauerkraut, but it certainly looks doable. I will have to try this! Definitely an easy recipe! Just takes a while to get the cabbage fermented. :) Let me know what you think once you've tried it! This reminds me of my mother in laws recipe! Thanks for sharing at #WonderfulWednesday. Have a great week! What a treat especially with fall here! Thanks for sharing with us this week at Throwback Thursday! 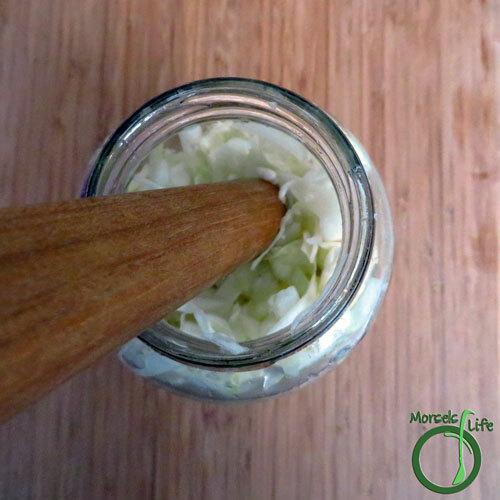 I love making sauerkraut. 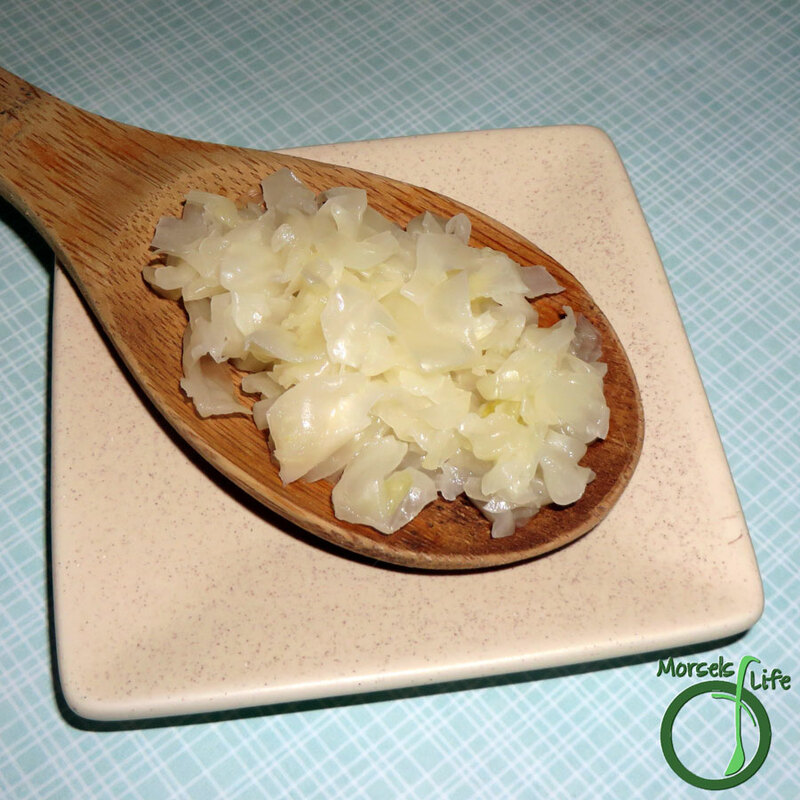 Did you grate your cabbage or cut it with a knife? It looks so perfect. Thanks for sharing at the #WasteLessWednesday Blog Hop! I cut it with a knife, and then crushed it a bit more when making the sauerkraut. Thanks! 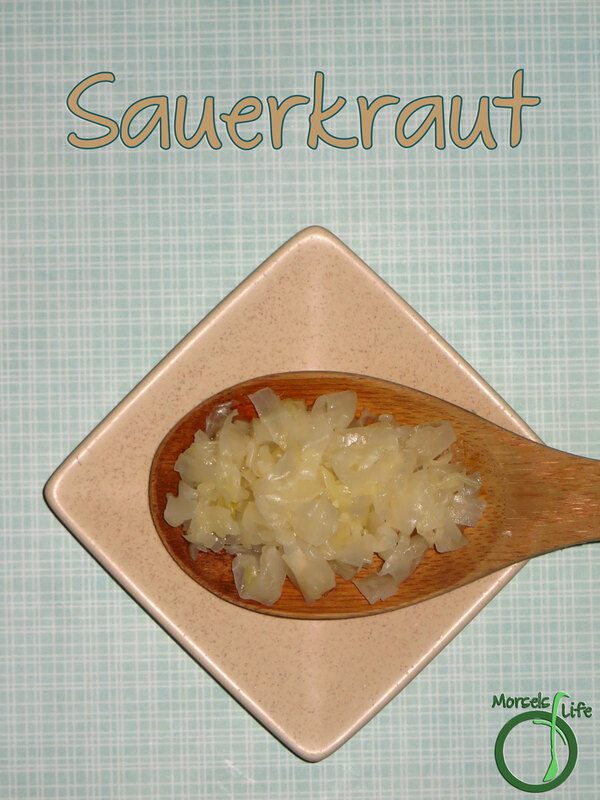 I grew up with sauerkraut (German grandparents) but I've never tried to make it! Thanks for sharing on the What's for Dinner Link up.